Project: E-commerce site design and build. 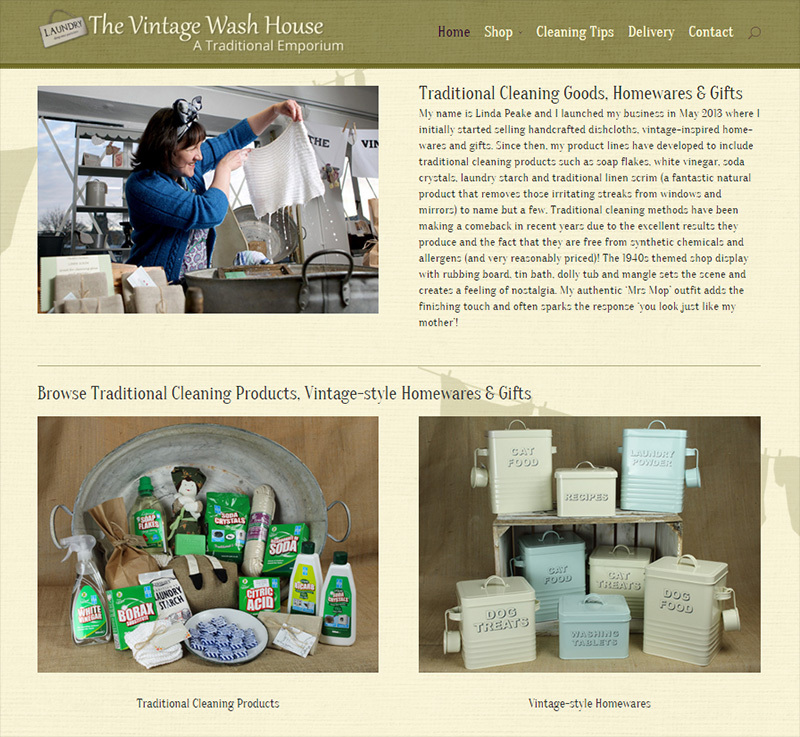 The Vintage Wash House already had a physical shop in Skipton, North Yorkshire and required an online platform to promote their range of traditional cleaning products, gifts and home-wares, A vintage-style site complemented their wonderful 1940s spirit! I am absolutely thrilled with my new website and thank you Emily for interpreting right from the start just what I wanted to achieve with my online shop! I shall certainly recommend you to anyone who is looking for a web designer with a flair for ‘vintage’.